Are you looking to buy green energy products? If you’re looking to buy products which can help you generate, save or store energy for your home then always use an EPVS member. You can feel assured that the installer has gone through a rigorous process to become a member and has satisfied EPVS that their documentation, provided to consumers, is up to standard. We monitor our members to ensure they are giving consumers accurate performance estimates and monetary savings. Why is it important to use an EPVS member? 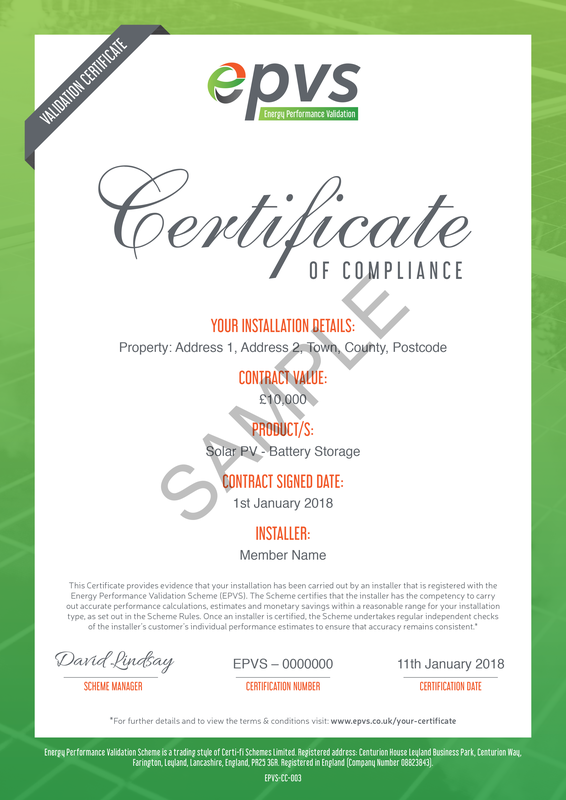 EPVS is a certification standard that certifies the processes used by installers to ensure energy saving, generating and/or storing calculations/estimates for home energy products are accurate and valid. We aim to protect consumers from receiving overinflated figures from installers when making a purchase by sampling the contractual paperwork to ensure meets our certification standard. What products does EPVS check? Once your contract is complete you will receive your EPVS certificate by email or as part of the handover pack given to you by the member. 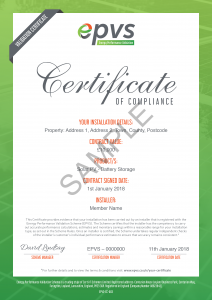 This certificate is your confirmation that you have been registered with EPVS and you have used a current member.